Whether you are a chainsaw craftsman searching for inspiration or just getting started this book is for you. Jamie Doeren author of Chainsaw Carving a Bear and Dennis Roghair - both nationally recognized award winning chainsaw carvers - instruct you on how to create our nation's symbol from a tree trunk or log. 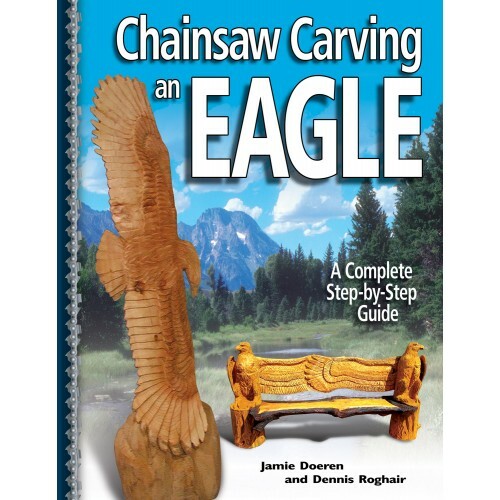 Inside you'll find everything you need to carve with confidence including an overview of the chainsaw safety wood selection and preparation step-by-step instructions and 4 projects (Eagle Head Plaque Standing Eagle with Fish Soaring Eagle Eagle Bench).